Twit! When redoing work turns out for the absolute best. Not only was I not happy with the red, and clearly now I’m one happy seamstress, but after waiting and waiting for it to arrive back here I found I wasn’t happy with the colour of the zip and the machine hemming was atrocious too! So new zip in, everything pulled apart and new piping done, everything back together, waistband back on, vest back together, hand stitching to hem, embroidery on right red done again, buttery soft deer skin leather cut (there goes a full day) and now the pièce de résistance – bling added to punched holes…ahhh onto the next. 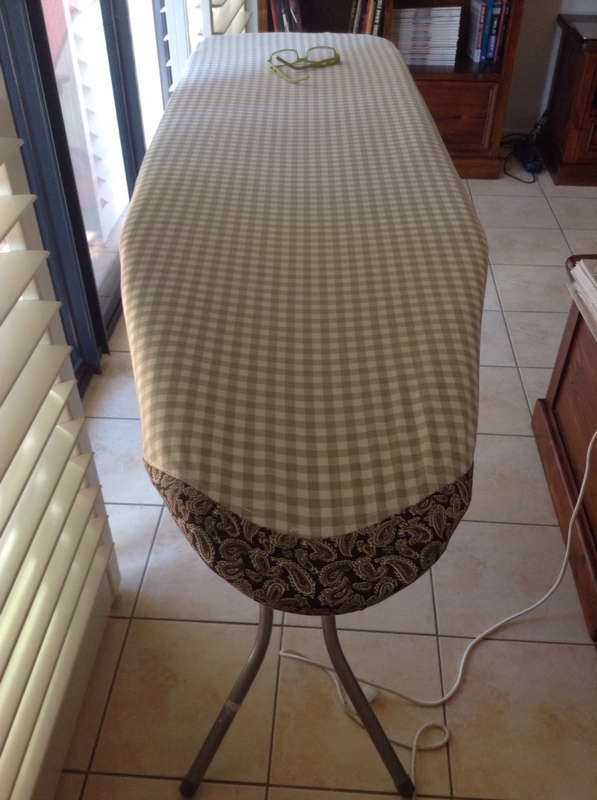 When you buy a new ironing board cover and you haven't checked length, 'cause who would have thought that they aren't the same……..yeah, me. So improvise! Had some fabric in the stash, cut out a whole new one for later and added a new piece to the bought one to make it fit! 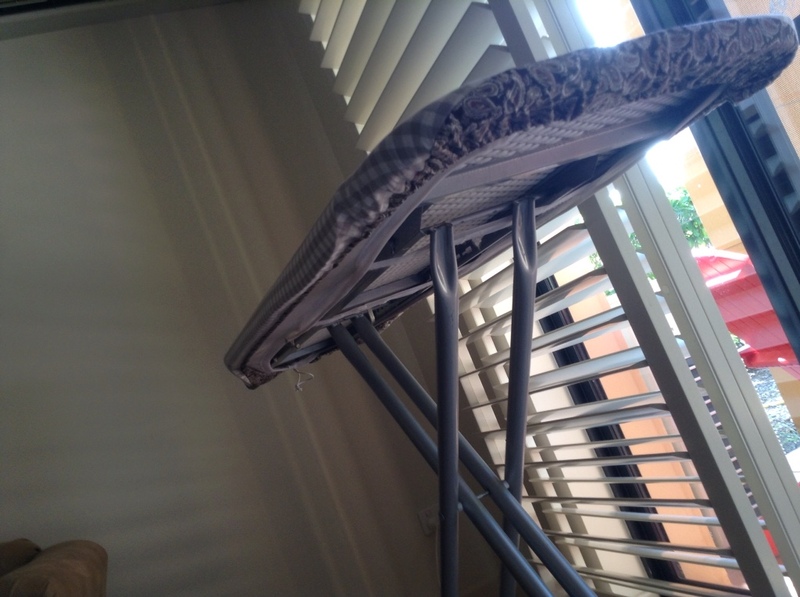 Now I can get back to the task at hand which is ironing clothes and making them fit into the very small closet.